One of my favorite things about being a mom is watching my two sons (ages four and two) learn about and interact with the world. They’re naturally curious and open to new ideas. I’m so passionate about this that I started an Instagram account this spring called @raisingcuriousminds. My goal is to help moms realize how important it is to get their kids outside to explore and learn to be curious about the world. Curiosity plays a role in developing talents, but it is also is a talent itself that can be cultivated. Here are twelve ways that I help my sons develop their own creativity. Whenever my kids have questions, I try to answer them right away—if I know the answer. If I don’t know, I have them help me find out. I don’t just go on the Internet and look myself. We go to the library and look for books about it, so it’s more of a physical experience. I try to get them involved as much as possible. Sometimes I take pictures to remind me what questions we have had recently. For example, I’ll take a picture of my son with a stingray at the beach to help us remember to find a book about stingrays at the library. I also ask questions of my own to get them thinking. For example, when we went to the airport recently, we spent some time looking out the window. I asked them, “Do you see where the luggage comes out? Where will they take the luggage? Do you see the big ladder? What’s that dripping out of the plane? What are the yellow lines for?” Modeling curiosity like this teaches them what questions they can ask. 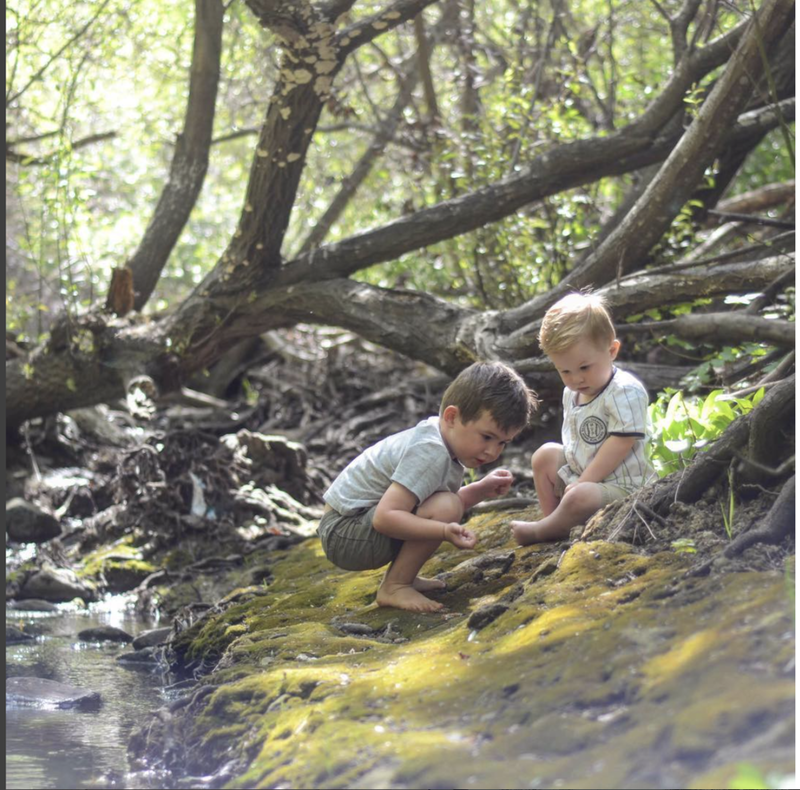 I love exploring with my kids, whether it’s exploring a city, trying new foods, or trying a new outdoor experience. There are so many opportunities in the Bay Area to explore outside. The beach is a great example. The one we go to has tide pools with sea anemones and other creatures. The fisherman come in and sometimes they’ll catch sharks or sting rays and they get to see those. The seaweed washes up on the beach and we talk about where it came from and then make seaweed sand castles. We dig for sand crabs. sand crabs. Then we go to the library and check out books about sand crabs or sea turtles and dig a little deeper. I feel like screen time crushes curiosity. It’s not just a waste of time; when kids get too much screen time it can affect the quality of their sleep, their executive functioning, and stress them out. All of those things negatively affect curiosity. Screen time isn’t all bad, though. Although we don’t really use screens during the week, we enjoy watching family movies on the weekend. One of my favorite ways to use screens to encourage curiosity is to watch Planet Earth together and talk about it while we watch. 4. Withhold judgement and partiality. If my kids bring up something I don’t agree with, or that I have strong opinions about, I try to hold back all my opinions about it and I let them explore it themselves. If I tell them it’s wrong, they might want to push back and try it anyway, so I just try to keep both sides open. I don’t want to have a single perspective, and I don’t want them to either. My job is to guide them to figure it out for themselves. 5. Notice and cultivate natural interests and talent. My four-year-old is really mechanical and smart. He’s interested in engineering and loves to read. So we go to the library a lot and read together a lot. We listen to audio books in the car. He thinks educational toys are really fun. We just got him a set of Snap Circuits and he has electricity on the brain, so he drew a picture of a house with all the electrical wiring inside. He takes things like this and runs with them, and I try to run along with him. My two-year-old is more hands-on, rough-and-tumble, and athletic. So I try to play sports with him and take him outside a lot. My two-year-old likes to make messes, and that’s the way he learns. My older son was not like that at all, and either am I, for that matter. I’ve had to teach myself to be OK with the mess and just teach him to clean up afterwards. 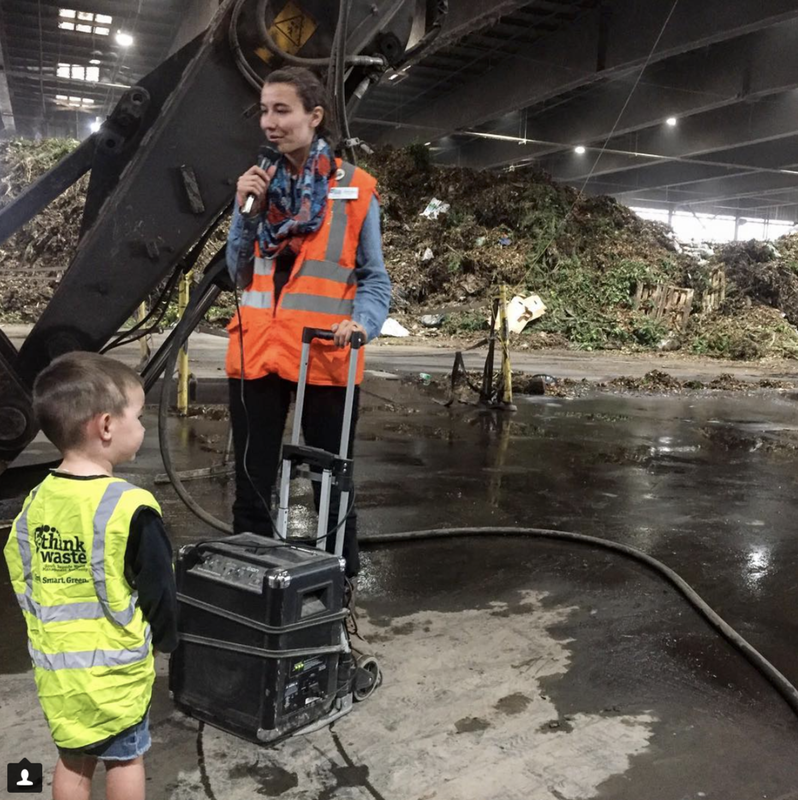 I recently took my older son on a tour of our local recycling center. I wasn’t sure how exciting this would be for my son or for myself, but both of us ended up loving it! We got to see a lot of the facility and lots of cool machinery for kids to see--and it was actually very safe and sanitary. My son had a million little-boy questions for the tour guide. I became more conscious about what happens to our garbage after our tour and we got lots of garbage/recycling books at the library for my son (and who are we kidding, for myself too) afterwards. 7. Read and tell stories together. I often ask my sons if they can recall a favorite shared memory. I describe it in rich detail to them and ask them for their own details. As a bonus, this is also a great time to snuggle. Be an example of curiosity and adventure to your kids. Always have books in your home, and read in front of your kids. Encourage them to ask what you’re reading about, and wonder. Take them on adventures with you. Expose them to different cultures. Share the world with them. Let them be curious about it. Last summer, I gave my boys some cardboard boxes, blankets, tape, and a lamp. I told them not to bother you for one hour and waited to see where their imagination took it. We did this several times, and my son made wonderful creations, like transformer cars, forts, and jet engines. If your children come to you with an idea for a project or a craft, let them run with it! Help them achieve their goal. I know it’s easier to just say no, you’re too busy, or you don’t have time. But if you say yes, you will never regret it. My son came to me with the idea that he wanted to show his little brother how a Zamboni works. He said he would like some ice to show him what a Zamboni does. 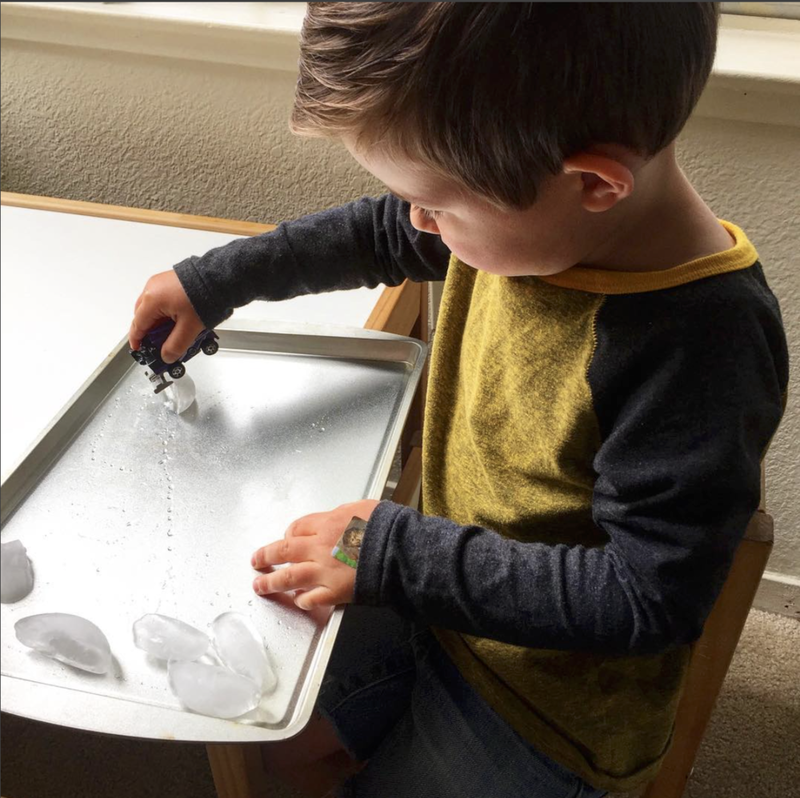 He took his little Zamboni car, took the ice cubes and cookie sheet I gave him, and showed his little brother how it all works. If I had said no, I would have ruined that brotherly moment. I would not have seen that curious, studious look on his face as he worked out his project. I would not have seen the joy on his face as he taught his brother something new. Always, always encourage curiosity.